At downtown Denver's Civic Park yesterday, there were long lines for public marijuana giveaway. Police were on hand, but all went smoothly. Shouting "Free the weed!" scores of marijuana lovers stood in line Monday for free joints offered by opponents of tax issues on the statewide and Denver ballots in November. 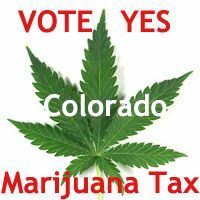 "It is legal to hand out marijuana to people in Colorado and it is legal to do it without paying a penny in taxes!" shouted [attorney]Rob Corry, who helped organize the event at Denver's Civic Center. Bump and Update: It's official. The House approved the Senate Amendments and Colorado is now the first state in the nation to pass laws regulating recreational use, sale, production and taxing of marijuana. This appears to be the final version of House Bill 1317 setting out the regulations for retail outlets. Tourists will be able to buy 1/4 ounce at a time. You can find all the versions here. The bill will go to Governor Hickenlooper who is expected to sign it into law. Details on the driving while stoned bill that passed yesterday here. The task force designated by Colorado Governor John Hickenlooper to make recommendations for the implementation of Amendment 64, legalizing marijuana in Colorado, has concluded its work and issued this 165 page report. ....on everything from how recreational marijuana stores should be regulated to whether people should be able to smoke pot in bars. The report will be considered by a joint legislative committee (not a pun, that's the terminology used to reflect it will include both House and Senate members.) The committee will meet twice in March. Attorney General Eric Holder will testify this morning at a Senate Judiciary Committee hearing on DOJ oversight. Many expect him to discuss DOJ's response to Colorado and Washington's recently passed marijuana legalization laws. 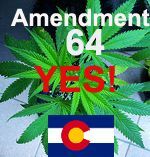 Colorado's Amendment 64 Implementation Task Force submitted its report and recommendations yesterday on how to implement the Amendment which legalizes personal adult possession of marijuana. Look for high taxes and low limits on what out of state residents can buy. Thanks to Westword for making the full 102 page report available. I have uploaded it here. Pot tourism may be coming to Colorado. The state's Marijuana Task Force today approved purchases at retail stores by out of state visitors. The quantity will be limited to reduce incentive for "smurfing" and resale on the black market. This may be the most-watched Barbara Walters interview ever. It airs tonight on 20/20. You can watch Obama's answer here. Does this mean DOJ will not challenge the laws' provisions on licensing and sales? It's official. 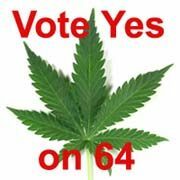 Colorado Governor John Hickenlooper has signed Amendment 64. Adult possession of small amounts of marijuana is no longer a state crime in Colorado. Hickenlooper also issued an executive order today forming the 24-member Force on the Implementation of Amendment 64. 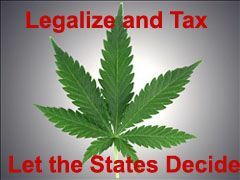 Its membership will include lawmakers and stakeholders representing the interests of prosecutors, defense lawyers, the medical marijuana industry, backers of Amendment 64, the addiction treatment community, public health institutions, cities, counties, “a representative of marijuana consumers,” employers and employees, among others. Its meetings will be public, and the targeted date for its recommendations to the governor is Feb. 28. Congratulations, Coloradans. You did it. Voting matters. In November, Washington voters passed I-502 (full text here) which provides that adult possession of up to an ounce of marijuana or specified amounts of marijuana-infused products is not a state crime and creates a regulatory scheme to license sellers. The initiative is now law and went into effect today. 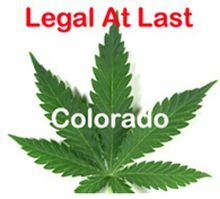 The vote on Colorado's Amendment 64, legalizing adult possession and setting up a regulatory framework to distribute and sell it, was certified by the Secretary of State today, and will become law by January 5. 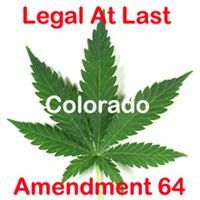 Colorado Rep. Diana DeGette today followed through with her promise to introduce federal legislation to respect the will of the voters on Amendment 64. She has introduced the "Respect States' and Citizens' Rights Act of 2012." In the case of any State law that pertains to marijuana, no provision of this title shall be construed as indicating an intent on the part of the Congress to occupy the field in which that provision operates, including criminal penalties, to the exclusion of State law on the same subject matter, nor shall any provision of this title be construed as preempting any such State law. A day after Boulder DA Stan Garnett announced his office will drop pending marijuana cases involving adult possession of less than an ounce of marijuana, Denver District Attorney Mitch Morrissey announced his office will do the same. There are about 70 cases pending in Denver that would fall under the amendment, Denver district attorney spokeswoman Lynn Kimbrough said Thursday. As those cases go through the court system, they will be reviewed for possible dismissal. This won't apply to cases where there is another charge or when the person is under age 21, she said. People who think their case may be dismissed still must appear at their court date, Kimbrough said. Boulder County District Attorney Stan Garnett today announced his office will dismiss all pending cases charging adult possession of up to an ounce of marijuana and/or related drug paraphernalia. District Attorney Stan Garnett will dismiss all pending criminal cases of possession of less than an ounce of marijuana, saying the overwhelming support for Amendment 64 in Boulder County makes it highly unlikely a jury would ever reach a guilty verdict in any of those cases. "You've seen an end to mere possession cases in Boulder County under my office," Garnett said Wednesday, becoming the first Colorado district attorney to drop pot cases because Colorado voters approved Amendment 64 earlier this month.